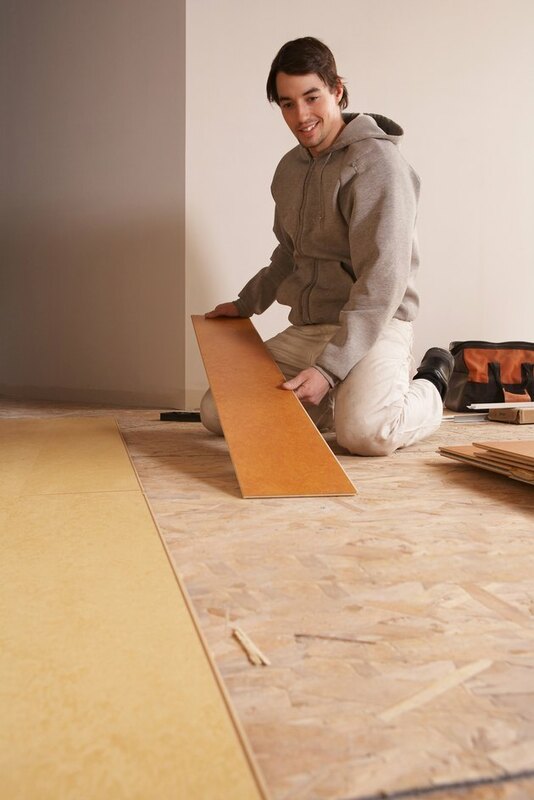 People have to make decisions on flooring material based on where the flooring will be installed, the use it will see, the style they want the flooring to have and the price they are willing to pay. Durability is a concern for many people, and there are many things that damage some types of floors over time. Laminate flooring has the edge over certain other materials in this regard. Most laminate flooring does not fade in the sun. In fact, many manufacturers of laminate flooring products offer a warranty of one kind or another to guarantee against fading in the sun. This makes laminate floors an ideal choice for locations where the flooring will get a lot of sun. Apartments or rooms with large windows on the south side of the building often get a great deal of sun. This could create fading in many other types of floors. Although laminates are made to look like anything, including other types of flooring, the most prevalent type is the laminate surface made to look like various types of hardwood. This is critical, because people who like the look of hardwood often are surprised by some of its less appealing qualities. Direct sunlight on a hardwood floor will fade the floor quickly; over time the effect can be extreme. This problem is not present with modern laminates. Another problem that hardwood flooring faces is discoloration. This is different from fading; it occurs in certain woods where excess sun can cause dark patches. Cherry, for example, gets dark spots if exposed to too much sun. Laminate does not suffer from this problem. Hardwood, even when treated frequently, still suffers from this weakness. The reason that laminate is such a good option for many people is that you don't have to base your design around protecting the floor. Hardwood manufacturers have to warn customers that windows should either filter UV rays very well or be fitted with drapes, curtains or blinds to protect against the fading of true hardwood floors. People with laminate floors can decorate as they wish and don't have to worry that letting in sunlight will harm their flooring.